MUMBAI: Jennifer Winget is one of the most popular television actresses and won the hearts of many when she played the obsessive, psychotic character of Maya Mehrotra in Sony Entertainment’s much-celebrated show Beyhadh. What do you think about Jennifer Winget? Jennifer's role gained a lot of popularity and appreciation. Jenny is on a mini vacation and is enjoying her time away from work by indulging in loads of travel and adventures. While the actress is having a gala time, she is making sure that her fans and followers are updated on her whereabouts. She often shares pictures on her social media. Just yesterday, she shared a super hot picture of her soaking in the sun as her Instagram story, and we are in awe of her. 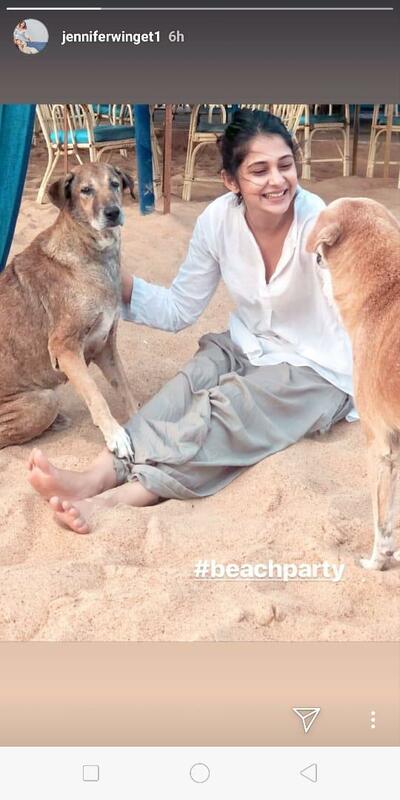 Today, Jennifer took to Instagram to share a picture of herself with stray dogs. The click is adorable. Jennifer is an avid animal lover, and her love for dogs is known to all.